With Summer finally over and the cold weather officially here, its time to put away those light and breathable shoes and start wearing something something that is a little more appropriate for the harsher conditions. We’ve got you covered though, and of course we understand the importance of being able to switch up what’s on your feet depending on the weather and/or occasion. So, here are the top five sneakers you should consider having in your rotation for this autumn. We’re going to cover shoes that you can use for muddy walks, the gym and even something a little more high-end. We’ll kick things off with something a little more fashion than the rest and the Balenciaga Triple S is a silhouette that really blew up this past year. After the success that the Balenciaga Speed Runner saw, Balenciaga took things even further with this love it or hate it model. Chunky, colourful and bold – the Balenciaga Triple S has been a hit this year after the “dad shoe” trend really took over the market, and this is a shoe you should certainly consider having at your disposal. It’s also one of the best “ugly sneakers” on the market. A personal favourite, the Air Max 95. Over twenty years since it’s debut, the 95 is still relevant and going strong. The 95 has become somewhat of a cult classic due to it’s versatility and durability. With some models featuring uppers consisting of leather, suede and canvas, the shoe really is great for colder conditions and the quality of the product really does protect your feet. Available in different colours and featuring materials, the Air Max 95 has already cemented it’s legend status within footwear and is certainly worth picking up if you want something a little more lax but will still keep your feet warm and dry during these harsher months. Shop at Dover Street Market. 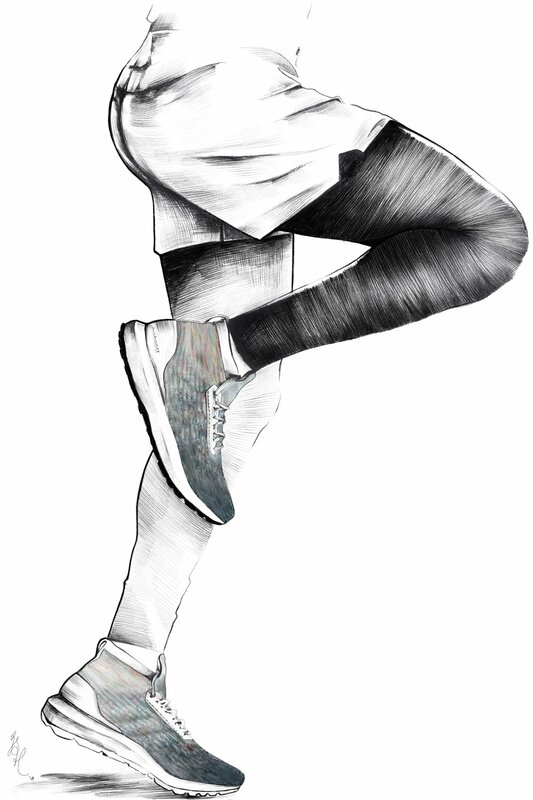 Following on from a chunkier shoe, another great addition is something you a bit more functional – something you can wear to the gym, running or even just walking the dogs. Step forth, Adidas Ultra Boost “All Terrain”. Adidas really cemented their status as a titan in footwear over the last few years, especially following their collections with the likes of Kanye West to create the inescapable Yeezy phenomena. But what gave birth to this rise to success was the “Boost” technology, hundreds of tiny thermoplastic polyurethane capsules all moulded together to create one of the comfiest shoes out there. More importantly, the “All Terrain” is a great adaption, featuring thicker, winterized soles and an extended primeknit collar on the ankle to keep your ankles both protected and warm. Something slightly different takes the penultimate spot, the Clarks Weaver. The Clarks Weaver usually features a suede upper, though some collections with the likes of Supreme New York do feature a soft leather upper, and comes in a variety of colours. The Weaver is a wonderful shoe, something you can dress both up and down depending on the occasion, reasonably priced and comfortable. Clarks have a reputation for the longevity of their products, and the sole that the Weaver utilises will certainly keep your firmly on the ground with arm and dry feet, unless of course there is torrential rain and you haven’t protected them with a waterproofing spray – in which I would highly recommend using Jason Markk “Repel” to do so. 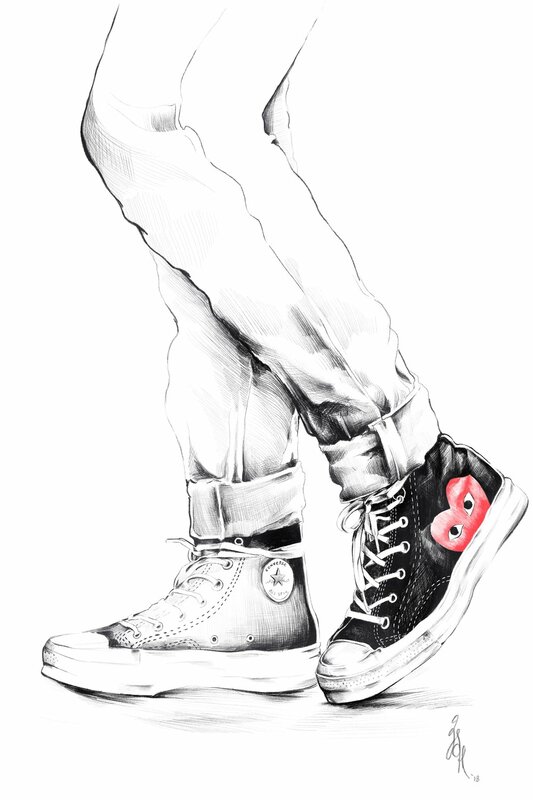 Finally, two incredibly important brands for fashion meet once again, Commes Des Garcons and Converse. The latest collaboration between these two wonderful brands features a new iteration of the infamous CDG heart featured on different converse silhouettes. Of course you could always opt for normal Converse, but the CDG hearts add an excellent drop of colour to an already great shoe, making your shoes more than just an accessory and a focal point to your outfit. Converse are an awesome shoe, and they tend to look even better once they have been worn in. Similar to the Clarks, I’d recommend you protect them with a spray just to make sure you don’t get caught in a sticky situation should the heavens open. But with colder climates fast approaching, Converse will certainly keep your feet warm and protected, and great grip on the soles means you won’t be slipping up anytime soon.